Following on from my last post on assembly places and practices, how do we theorise the roles of material culture associated with assembly places, when material traces are often so ephemeral and ambiguous pertaining to the multiple dimensions of temporary and seasonal activities? One of the main reasons that assembly places and practices (often called ‘things’ when pertaining to Scandinavia and spheres of ‘Viking’ influence and settlement) have been a challenge for investigators is the limited material traces they often leave behind. This is compounded by the fact that early medieval assembly places and practices seem to be increasingly recognised as varied and fluid. 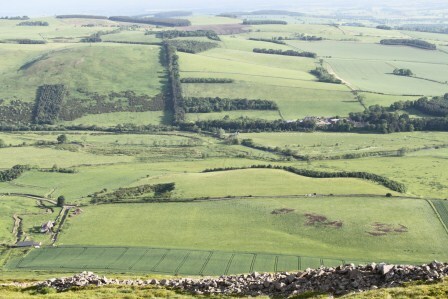 Certainly there are locational, topographical and material attributes being recognised, yet assembly places were associated with changing and different places and practices in the Early Middle Ages, operating in very different worked and monumentalised landscapes as well as contrasting topographies and geologies. Hence, there was no single ‘institution’ of public assembly with a check-list of necessary features and material traces. This variability in locality, monumentality, architecture, and material discard/deposition, also extends to their endurance. Many hint at being surprisingly long-lasting, utilising demarcated and elaborated places within worked and inhabited, monumentalised and ceremonial, landscapes. Yet they can also reveal stark and rapid shifts in practice and place linked to religious, socio-economic, political and ideological change, whether it is kingdom formation, religious conversion, or other rapid developments such as extreme cases of political experimentation with new socio-political formations. In short: early medieval ‘things’ varied, and ‘things’ never stayed the same. ‘Things’ operate in history, on different scales – from local to regional to ‘national’ – with contrasting functions and dimensions, not as static and fixed institutions. As I understand it, this is where so much of the recent work on assembly places and practices, including their archaeological investigation, has been most important. Rather than the nationalist rhetoric of identifying the origins of modern institutions, recent research on assembly places and practcies foregrounds the complexity and fluidity of early medieval societies’ socio-political, judicial and territorial moorings. This is relevant to my research on Project Eliseg. 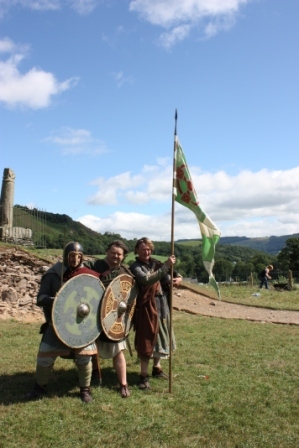 For ‘Wales’ in the Early Middle Ages does not have surviving evidence for an enduring set of assembly places. Fascinating new work by Rhiannon Comeau, investigating the cantref of Cemais, north Pembrokeshire, prompts us to look from interdisciplinary and long-term perspectives, and consider zones and locales rather than sites operating for assembly places. It also encourages us to think of the afterlife of prehistoric sites as potential components of assembly sites within territorial contexts. 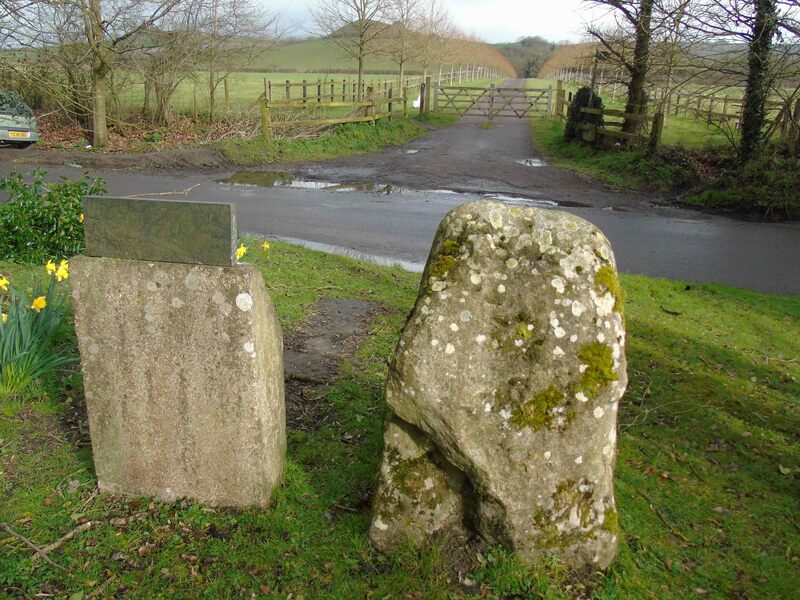 And it is here that Nancy Edwards’ suggestion that the text and reuse of a prehistoric mound by an early 9th-century stone cross – the Pillar of Eliseg – might fit. Yet the caution is against using the Pillar of Eliseg as a ‘model’ for assembly places in Wales and beyond, or to think of the Pillar’s significance only through the dimensions to its location, monumentality and biography it shares with other hypothesised assembly places. Instead, our task as scholars of the Early Middle Ages is to try to work with both patterns and specifics: between the uniqueness of each place and the expectations and assocations of its physical form and landscape situation. In other words, we must try to describe and explore what the Pillar of Eliseg might have done, rather than seeing its possible function as an ‘assembly place’ as the endpoint of enquiry. In relation to this discussion, we might ask: what did the Pillar of Eliseg do, and how did it operate, as a place of aggregation? 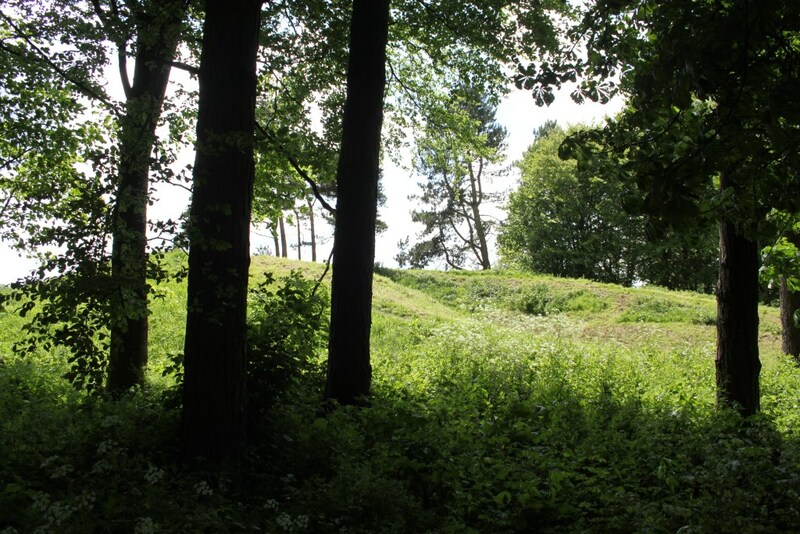 The reconstructed Mound 2 at Sutton Hoo – execution site but also assembly place? Follwing this preamble, let’s return to the point of this post. Most assembly places yield limited or no material traces, becuase they were sites that, for most of the year, might have received limited activity and occupation. Assembly was more than about people gathering together for specific events and durations. Assemblies involved bringing together people and things: and the acts and tempo of assembling these constituent parts is what would have made connections between assemblies and other gatherings, festivals and ceremonies (including death rituals), and marked them out from others. Assemblies were thus distinctive spatial-temporal assemblages of diverse materials, resources, architectures and agents. To early medieval people, these might have been about bringing together the living and the dead, ancestors and supernatural forces, as well as material and human agents. The funerary dimensions needn’t be about depositing the dead at the places of assembly, but the staged execution of felons and the display of their bodies, or the evocation of ancestors and deities in the activities conducted and the material ‘props’ mobilised, including images, artefacts and monuments. Whilst together, people might do many different activities and performances that involve material culture. Certainly there might be political activities, military musters, fairs, games, judicial proceedings and feasting. There might be funerary, religious and sacrificial practices, fights and disputes too. In all these regards, assembly is about assembling things as well as people – bringing stuff to places. This was about living people, but also living animals to exchange, ride or display, sacrifice or consume. It could involve ancient monuments but also temporary dwellings: tents or booths to raise and inhabit. What other kinds of material culture were assembled during assemblies? Assembling things can be about drawing together the ancient, the recent and the new, monumental and ephemeral, structural and portable. The gathering of things in one place for set, fixed and seasonal activities, including the hunting, preparing and consumption of food and drink, exchange of materials and social bonds, made these places significance and powerful. There might have been special things at assemblies unlike those elsewhere – ancient graves, mounds, rings and other features that mark the place as distinct. The topography itself might be the distinctive features – certain trees, promontaries, springs, wells or rocks. Some of these things might be offered as votive deposits, others discarded whilst used there, but most might be taken away again. So here lies the frustrating thing about ‘things’: they often leave only ephemeral traces in the archaeological record, and yet the relationship between people and things is what made ‘things’ things: the drawing of things together for specific moments, for gatherings and performances, create temporary assemblages or associations. Now theories of assemblage in archaeology are all the rage, and as usual they involve a debate played out by prehistorians with scant attention to early historical archaeologists. There are many reasons for this, and I won’t go into this here. Still, thinking about assemblies as assemblages of people and things has many advantages: not only prevent the privileging of people over other actors and agents, but also not privileging monuments and landscape features over the more ephemeral dimensions of temporary assembled, crafted, displayed, exchanged, consumed and deposited stuff. This is a constant danger of studying assembly places and practices since, for much of the year, for much of the activities, there is no trace of the sites and their significance for archaeologists to see. I saw a great paper address similar points in the context of Scandinavian assembly places by Alex Sanmark at the Viking conference in Nottingham this summer, but I won’t attempt to summarise her forthcoming research on this fascinating topic. How does this relate to the Pillar of Eliseg? Well in our investigations, we yielded no demonstrably early medieval traces that might be associated with the stone sculpture. No traces of feasting, burials, discard or rubbish, structures or monuments. So how can we think of the Pillar of Eliseg as an assemblage in the terms suggested above? Well, it was certainly an assemblage of things. At least two stones were involved; the cross base and cross shaft/head. 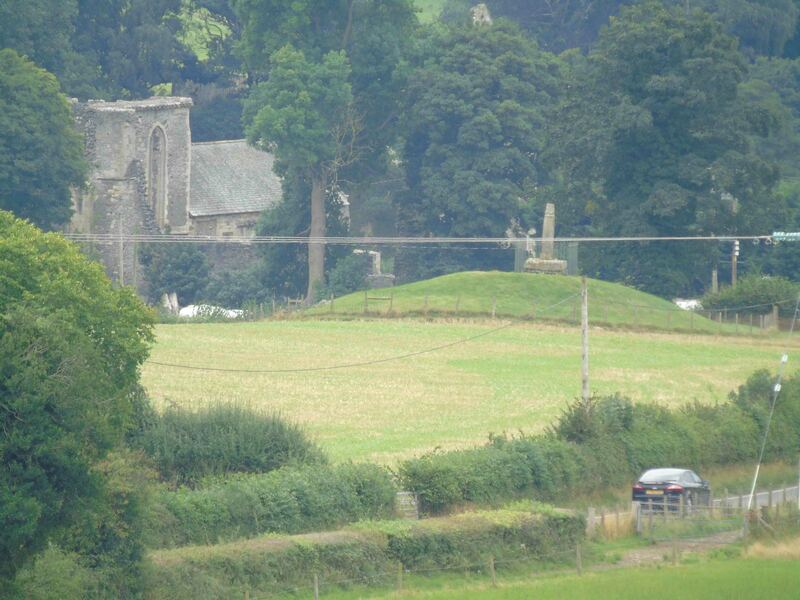 It also involved a mound, inherited and perhaps adapted as a stage/platform. Its early medieval use might have also involved stones and bones associated with ‘ancestral’ or ‘heroic’ pasts – disturbed traces of prehistoric graves. The inscribed Roman letters was also a striking act of Latin textual assembling – drawing together different personages from different times, into a narrative honouring Elise and Cyngen and their deeds and legacy – apparent and aspired. The text was part of his multimedia assemblage, whose presence, identities and memories might have informed and directed the activities conducted at the site, including perhaps royal inauguration. Certainly they were integral dimensions of any performances conducted at this location. The rest is speculation at present. We can only speculate about the weapons, armour, clothing, animals, vehicles, tents, and other components that would have been brought together for activities at a Welsh assembly site. In an aceramic society, in a largely coin-free zone (with some exceptions), we lack the discard of common enduring objects to event hint at tthem. What materials and substances, people and animals, foods and drink, weapons and armour, were gathered at the spot for memorable ceremonies and distinctive performances? Hence assembly places are rarely rich in finds, even if they have monumental foci or striking topographical locations. So what I’m suggesting is that it is only by foregrounding the ‘thingness’ of assembly places, that we can begin to appreciate and theorise both the monumental and fragmentary traces that survive, and the frequently seemingly empty spaces that we also identify and seem integral to the ephemerality of assembly places and practices.